What if you could just wave your magic wand over your pool deck and it would look brand new again? Thanks to revolutionary technology in pool refinishing, you practically can. Spray deck is a state-of-the art, genius way to resurface your unsightly, ugly concrete on a shoestring of a budget. Far less expensive than re-pouring concrete, this versatile pool spray offers a multitude of choices so you get the look and feel you’re wanting plus it delivers practical features and saves money as well. It’s an innovative approach to giving your pool deck a much-needed facelift. 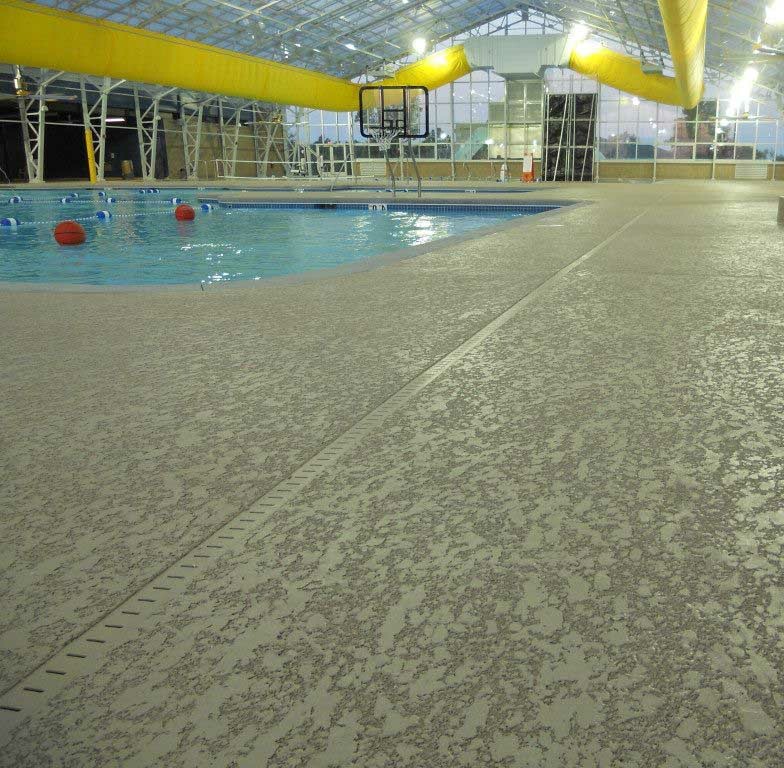 Pool spray for decks is a decorative textured cover-up that is applied over the existing surface. It is used not only on pool decks but also on patios, driveways, walkways, entryways, around fire pits, and virtually any other place you where there is concrete. The spray comes in a wide variety of textures to serve a large range of purposes and is available in a number of color choices. Whatever environment you are wanting to create can be achieved with pool spray deck. You can easily and affordably set the mood of your area by the choices you make in your choice in texture and color or color combinations. 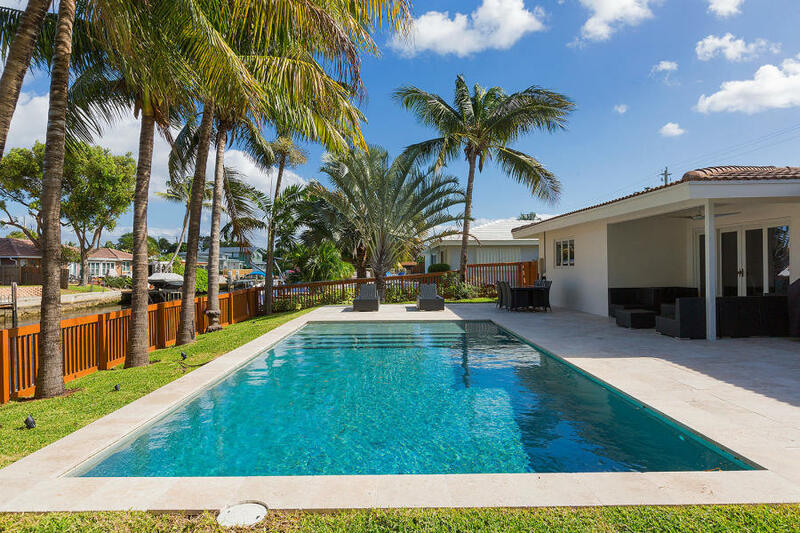 Especially for poolside remodeling, you’ll want to think of features that are practical that provide safety and longevity. There are non-skid surface finishes that are textured and heat resistant but are easy on bare feet as well. The look of textures are important too. Accentuate you decorating scheme by choosing options that make a statement like a sleek, smooth look with straight lines for a modern feel or a rougher texture for a rich or rugged impression. Smooth, bubble, and pebble finishes are among the choices you’ll have in a spray deck. You can find most any color you are looking for in a pool spray deck finish. The most popular colors are light shades that accent your pool rather than the area around it. Eggshell, sea shell, ivory, almond, and Kahlua crème are good examples of classic light colors while gun metal, nickel, silver, and terracotta offer a little deeper tones. You can even opt for clear. There are a myriad of benefits associated with pool spray on your deck. It is ultra-affordable yet it adds years onto your surface and can even raise the value your pool adds to your home. It is durable and lasts for decades. It is double the strength of traditional concrete. Spray provides a number of safety and comfort features. It’s slip-resistant, heat-resistant, and is comfortable to walk across with bare feet. Your pool deck will take on an instant new look like a brand new pool. It immediately gets rid of the ugly and aging concrete look you had before and transforms it to a beautiful place you can enjoy once again. Spraying your deck makes it able to withstand even the most extreme and harsh weather conditions like excessive heat, pounding rain, blowing winds, and freezing cold temperatures. It can even handle snow and sleet with no problem. Poolside areas take a beating with heavy traffic and chemically treated water being splashed and pooled on it. No problem. By spraying your pool deck, it will be ready for all the elements and abuse it will encounter. There’s little maintenance required for spray on decking but it will always look as if you’ve spent days spiffing it up. How is a Pool Spray Deck Applied? You’ll want to hire a trusted professional to spray your deck. Attempting to do the work yourself is likely to turn out with the surface looking worse than it ever did before. That means you’ll either be stuck with an ugly deck or will have to foot the bill to have the spray removed and then for more spray to be applied. An expert team will make sure the concrete to be covered is clean and free of debris. Then the deck will be sprayed in a professional manner that is smooth and uniform. There is very little down time where you won’t be able to use the pool so that’s a big plus. If you are wanting to instantly transform your pool deck and make it more durable to add some features like non-skid and heat-resisting technologies, and you want to do it in the most affordable way possible, pool deck spray might just be your best way to go. It’s almost...like magic!